When it comes to remakes it seems more often than not they seem to fail for two particular reasons; the first being is they follow the original and add little to nothing new to the story or in some cases they stray so far from the material why even bother calling it a remake? However not all remakes are destined to fail. There are two films that come to mind. Invasion of the Body Snatchers retains many elements of the original film while building upon it and adding its own. Than there is Maniac, which basically retains the idea behind the original and even has scenes in common, but like Invasion of the Body Snatchers, Maniac puts its own twist on the story. The biggest fear by fans is if the remake is bad people won’t wanna see the original, but in the case of Carrie the original came out in 1976 and the remake 37-years later. Carrie isn’t some underground film and its easily bought on home video and there are often numerous cable showings so if you didn’t see the 76 version by the time the remake came out you never had any intentions. 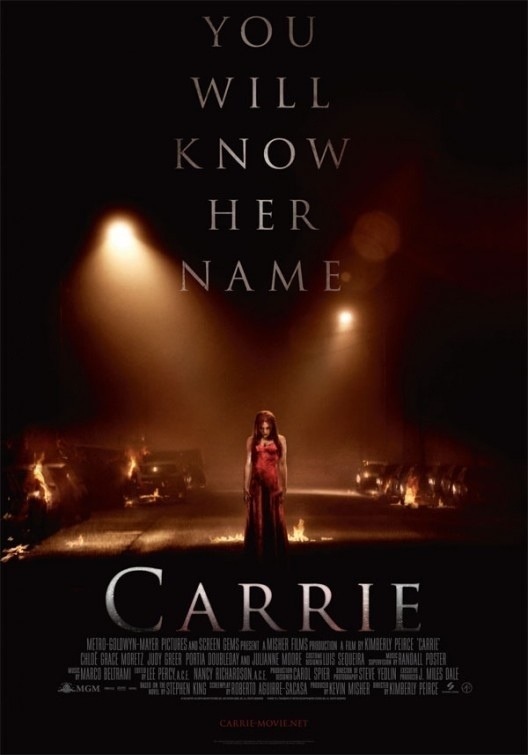 In 2002 there was a TV version of Carrie, which was quite horrendous, but I wouldn’t label it a remake personally since it uses aspects of the novel by Stephen King that was left out in the 76 version. However the 2013 version I do see as a remake since it follows the original film. The remake of Carrie for the most part is a rehash of the original and any new ideas added never impact the story. There are some stuff from the novel that makes its way in the 2013 version that wasn’t in the others, but it hardly makes it any different. While its better than the TV version, but that isn’t saying much. While I didn’t exactly have high expectations for Carrie it was still a letdown. The biggest problem is it just offers nothing anything really different than the past two versions. The screenplay was written by Lawrence D. Cohen & Roberto Aguirre-Sacasa and Cohen was of course the writer on the original. The script is weak and the characters are boring and lifeless. As I stated the 2013 version does add a couple of different ideas, but not one of them adds anything new to the series. For the most part it’s basically a rewrite of the 76 version only difference is perhaps it might be worded a bit different. Director Kimberly Peirce made a very deep and powerful film with Boys Don’t Cry, but with Carrie she fails at bringing any of that to this film. The basic plot for Carrie is timeless as there will always be outcasts and bullies, but everything here is handled sloppily. Pacing is often sluggish and the film is never very dramatic or exciting and around the halfway mark I often kept checking to see how much time was left. The prom sequence in the original was some of the best tension filled scenes any horror film has staged. On one side you’re happy for Carrie, but we know something bad is gonna happen and the build up was truly amazing. Here in the remake its lackluster and devoid of any suspense or tension and I couldn’t wait for to happen cause than the film would be closer to ending. Carrie’s rampage at the prom was the most effective scenes in the film and while it fails when compared to original it was still decent enough, but it doesn’t save the picture. However it wasn’t without its flaws such as Carrie levitating and when she’s after Chris (Doubleday) and Billy (Russell) as they’re driving away she breaks up the street, which was way too over the top and silly and I couldn’t take it seriously. Some have also complained about how Carrie moves her arms around while causing the destruction and yeah I could have done without that, but it wasn’t too bad. Carrie here is a little more in control and seems aware of what she’s doing whereas in the original she lost it at that point and really had no concept of what she was doing. I thought Peirce would offer a lot more than she did and Boys Don’t Cry is the only film I’ve seen by her, but based on that I expected a little more out of the direction, but for a good portion of the film it lacks in every aspect. The film is quite over the top to where it gets a bit absurd whereas any scene in the original that is like the remake felt far more natural and real. Brian De Palma is an excellent and even underrated filmmaker and the scenes that are basically the same are so wonderful in De Palma’s vision and so blah in Peirce’s. The cast in the original film is one of my favorites and it was the perfect balance of a terrific cast a great screenplay and a great director in Brian De Palma. Here in the 2013 version while the cast isn’t as good as the original, which isn’t a knock on them, but the actors fail to really make much of an impact, which I would place the blame more on the writing and directing since the actors really aren’t given much to work with at all. Chris was another great character in the original film and Nancy Allen was truly amazing and she really made it easy to hate Chris. Portia Doubleday however I found myself not even caring. Though again I wouldn’t blame the actress at least not fully. But it was a world of a difference between Chris in the original and remake. 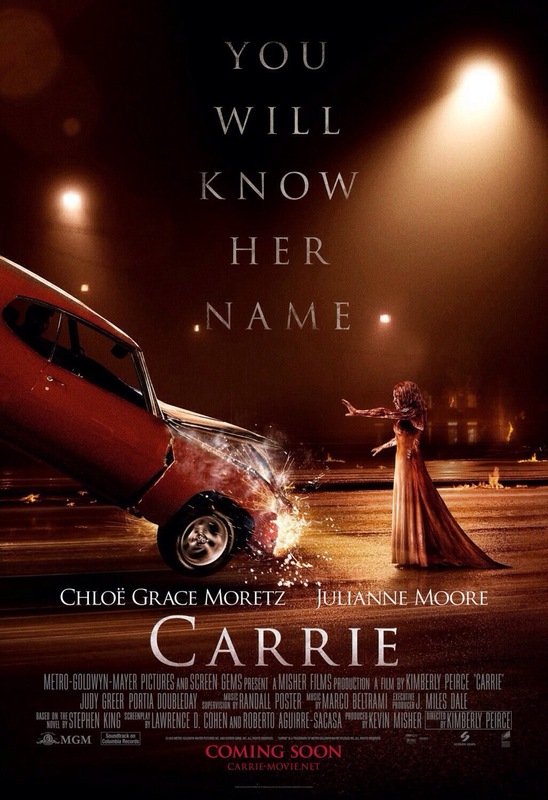 The exception was Chloe Grace Moretz who I thought was excellent as Carrie. It isn’t fair to compare Chloe to Sissy Spacek and while Spacek may have been better in the role, but Chloe still delivers a terrific performance, but she was failed by the writing and direction like the rest of the cast. However despite those problems while the rest of the cast wasn’t able to overcome that Chloe very much shines in an otherwise average or better yet below average film. The biggest letdown was Julianne Moore as Margaret White. Piper Laurie is a good actress, but I often find a little over the top and I felt that was about her performance in the original, but it worked in that regard and was quite a chilling performance. Julianne Moore was actually quite dull and she wasn’t very effective and while like the rest of the cast the writing and directing can be blamed, but I did expect more from a talented veteran actress. Despite my negative review I didn’t find Carrie to be a terrible film it just doesn’t make any impact at all. 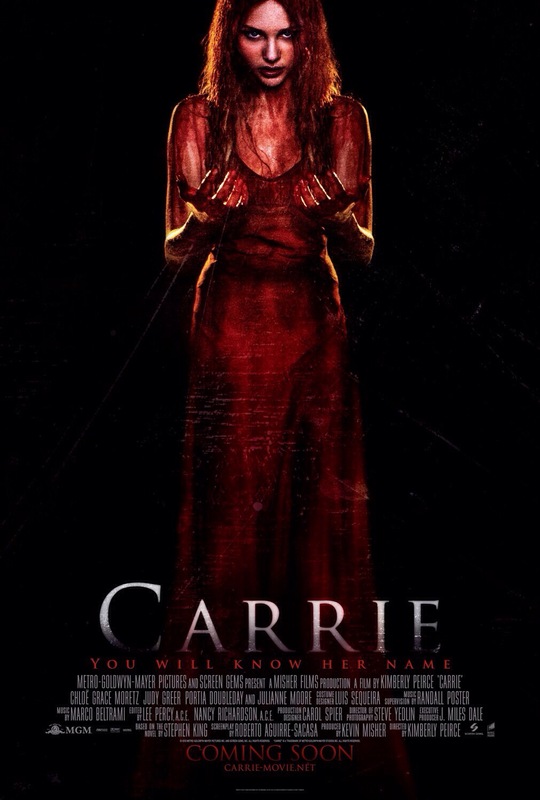 Carrie is watchable, but it just falls flat and my advice is stick with the novel by Stephen King or the original film. 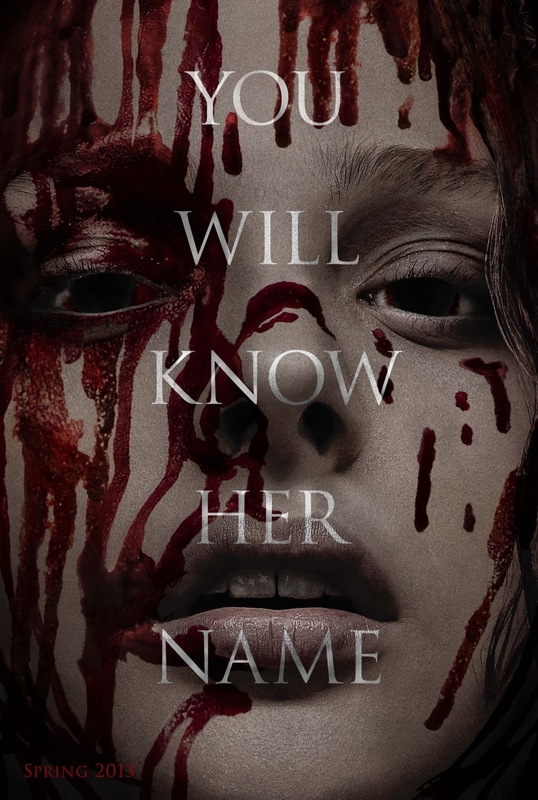 The only real reason to see this is for the terrific performance by Chloe Grace Moretz and while her Carrie won’t get the same reaction as Spacek’s but that has nothing to do with Chloe and I hope people can see past the subpar film and enjoy the performance by Chloe Grace Moretz. Carrie isn’t horrible, but its just never very good either.